Avocados are the highest fat fruit in existence, with the exception of the coconut. Most of the fat in an avocado comes from a heart-healthy type of unsaturated fat, whereas most of the fat in a coconut is saturated. There are several varieties of avocados. 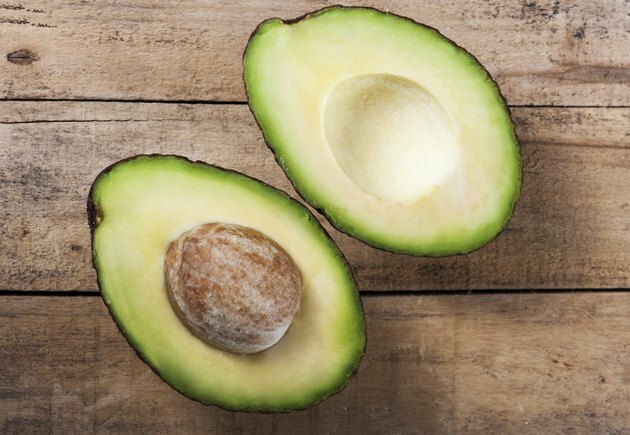 The fat content of avocados varies depending upon type and where it is grown. Avocados differ in qualities such as appearance and size. The California Hass avocado, sometimes marketed as "Haas," is the most popular type of avocado in the United States. It has a pebbly, brown-black skin. The larger, pear-shaped Fuerte avocado is fairly common outside of the U.S. and has a dark green skin. The Hass avocado weighs in at about 8 ounces while the Florida variety may grow to be as large as 5 pounds. 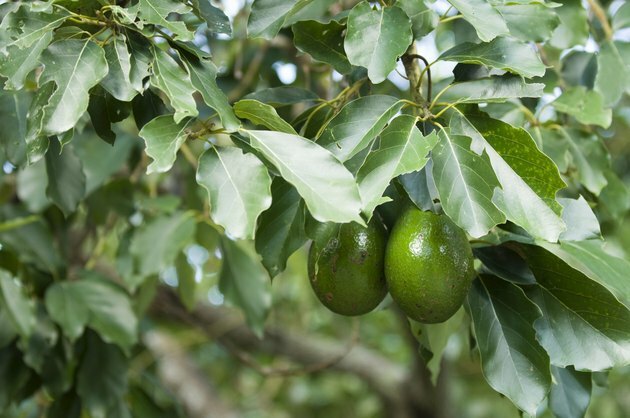 Florida avocados are lower in fat and calories than Hass avocados but do not have as rich of a flavor. 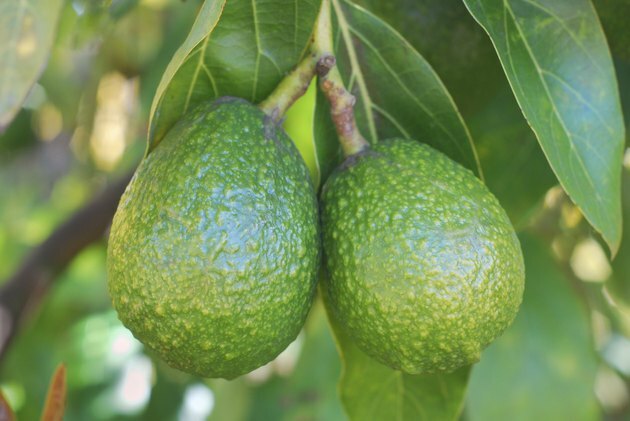 Haas avocados have a very nutty, rich, creamy pale green fruit. A 100-gram serving of raw California or Hass avocado provides 167 calories and 15 grams of fat, 2 grams saturated fat and 13 grams of unsaturated fat. There are two types of unsaturated fats: monounsaturated and polyunsaturated fats. These fats are healthier and are found in foods such as oils, nuts, seeds, olives and other foods. The majority of the fat in a Hass avocado, about 9.8 grams, is monounsaturated. 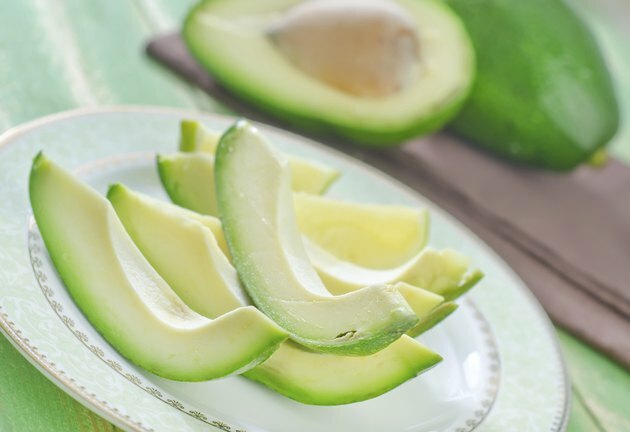 Florida avocados have a bright green, smooth, thin skin and are usually teardrop shaped. 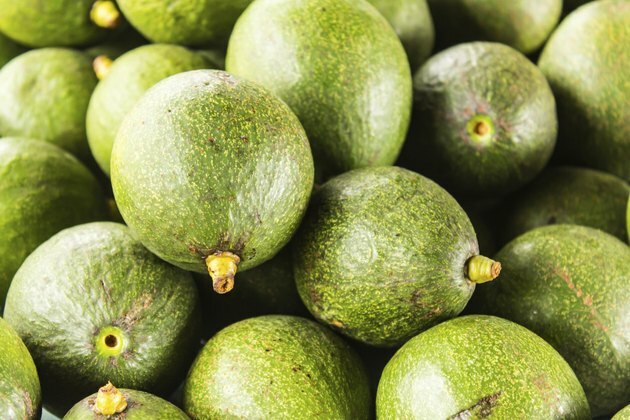 This is only a very general description as there are more than 56 different varieties of Florida avocados, according to the University of Florida. A 100 gram serving of an average raw Florida avocado provides 120 calories and 10 grams of fat, 2 grams of saturated and 8 grams unsaturated. Like Hass avocados, over half of the fat, or roughly 5.5 grams, is monounsaturated. According to the Dietary Guidelines for Americans, total fat intake should be between 20 and 35 percent of total calories. On a 2,000 calorie diet, 30 percent calories from fat would be 65 grams. Additionally, the DGAs recommend that most fats come from sources of polyunsaturated and monounsaturated fatty acids, such as fish, nuts, seeds, olives, avocados and vegetable oils. According to the American Heart Association, monounsaturated fats may help lower LDL or "bad" cholesterol levels in your blood; thus reducing your risk of developing heart disease and stroke. In addition, they help to develop and maintain your body's cells. 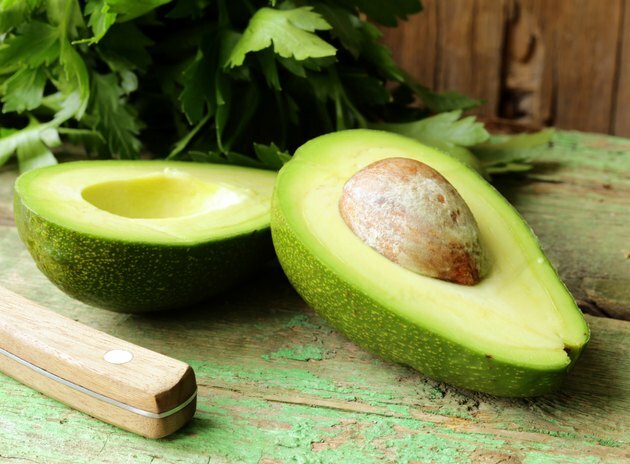 Most food sources of monounsaturated fats, such as avocados, are high in vitamin E, an antioxidant nutrient. This is beneficial because most Americans do not consume enough of this vitamin. Will You Get Fat If You Eat an Avocado Every Day?